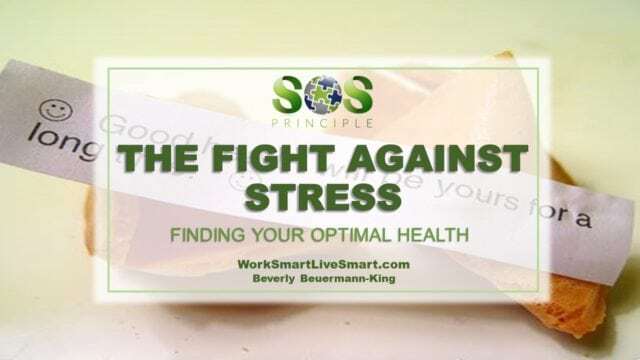 The Fight Against Stress: Finding Your Optimal Health - Work Smart. Live Smart. Optimal health allows you to come into contact with germs and not get infections. Optimal health should bring a sense of strength and joy, even amidst the day-to-day stresses of life. It is more than just the absence of disease. 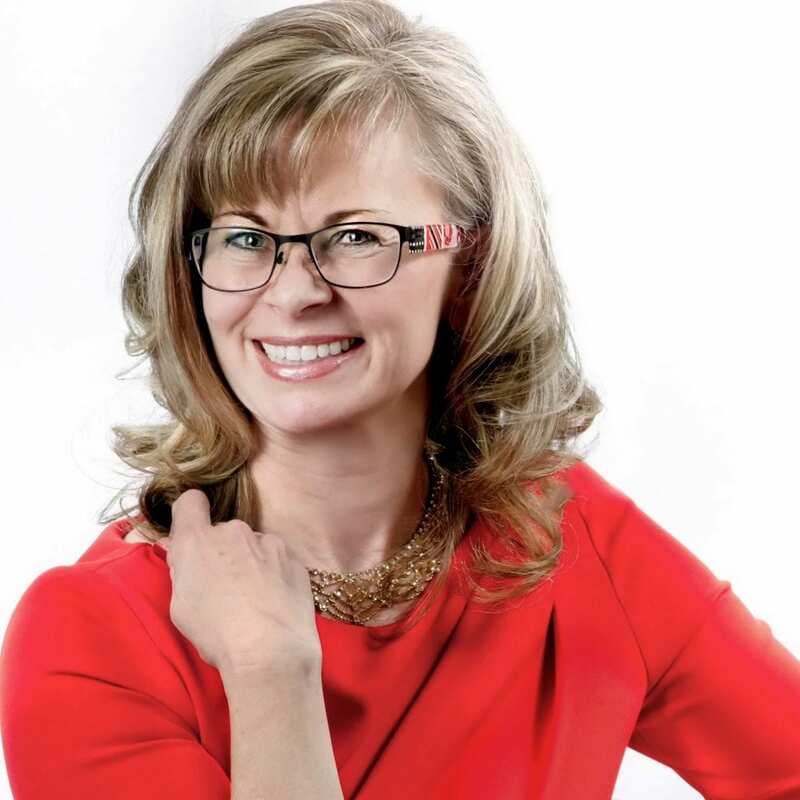 Optimal health involves The Fight Against Stress, good health care, self-awareness, living according to our values and beliefs, being your own best friend, realizing the value of family, friends and co-workers, and enjoying an enthusiasm for work, growth and life. Sounds simple enough, but when we look at the ‘sadistics’ around stress, we see that 1/3 of Canadians feel that they are constantly under stress trying to accomplish more than they can handle, that 2% of Canadian workers reported that they were on the verge of a breakdown, and that 50% of Canadian workers ages 25-44 worry that they do not spend enough time with friends and family. Health, stress and the mind-body connection – these mysteries are just starting to be unravelled. The mind and the body are in essence one and the same. The brain receives information about the external world and from within the body. It interprets it, makes decisions about what to do, and directs the body to respond accordingly. The brain also responds to its own activity and these thoughts can have a potent effect on the body. The physical problems rooted in our thoughts are no less real than a cut finger. Stress is your response to the world around you – like a situation or an event. While stress can be related to good or bad events, such as the stress felt the night before a wedding or the stress of bankruptcy, our body’s response can be the same. Like a race car at a starting line, the body gears-up to meet the challenge of the stressful situation. In the first stage of your Fight Against Stress response, your body begins to mobilize energy – your body releases adrenaline, you start to breathe faster and your heart beats faster. If you remove the stress-inducing event or situation, your body will return to a normal or relaxed state of functioning. This ancient response was especially helpful to our ancestors who may have had to fight with tigers for their supper. But it can be a hindrance and produce negative reactions in our modern society. In the second stage, your body consumes more energy. There will be time when you may feel pressured and tired, but also driven. Sometimes you may start to rely on substance to get you through the day; you may smoke more, turn to alcohol or drink more coffee. Your body starts to weaken; you may catch colds or the flu more often, and you may also begin to experience anxiety and memory loss. In the third stage, the body drains its energy stores. If you cannot remedy your stress problems, the body’s need for energy will outstrip its ability to produce it, putting your body into a deficit situation. More severe physical illness can occur such as ulcers and heart disease. You may experience chronic insomnia, personality changes and even Depression. So what is ‘optimal health’? People experience stress differently. The things that cause you stress are different than the things that cause your spouse, your neighbour or your co-workers stress. Learning what causes each of us stress can go a long way to helping us understand our stress and what we can do in order to cope with it. Identify and solve problems. Is it your job causing you stress? Your spouse? Are insignificant problems masking more significant ones? Once you have identified the problem you can start to think about solutions. Should you look for a less stressful job? Do you need marriage counselling? Do you need to learn how to simplify your life? These approaches can help impact your stress by dealing directly with the stressors. Try taking your mind off your problems. Physical activity can be a very effective stress-reducer – it teaches the body to use energy efficiently and can rid the body of pent-up energy. Volunteering in the community, such as delivering food to the elderly or working with kids can provide purpose, focus and satisfaction. Learn some relaxation techniques – deep breathing, napping and visualization are useful ways to give the mind and body a break from the stressful situations and effects of stress. Another approach is to gather support – try talking to others and learn to rely on them – share your concerns with friends or family. They can help you put your stress in perspective and offer you solutions. Look to your community for resources – the library, support groups and health centers can be valuable places to gather support and information. Health is dynamic, apt to break down as conditions change. Optimal health though, allows us to quickly come back to order by having a strong stress management system. Remember that stress is a necessary part of life and unavoidable—how you cope with the stress, however, is within your control.